16.5" 16" 15.5" 15" 14"
We offer pre-selected outfits appropriate for any student. Each outfit includes a bow and case. For advanced players, personalized outfits can be created with any full size instrument we sell using our Create Your Own Outfit option to make your important purchase even more affordable. We carry a wide variety of bows to fit your needs from high-end Brazilian workshop to the finest antique and modern bows. 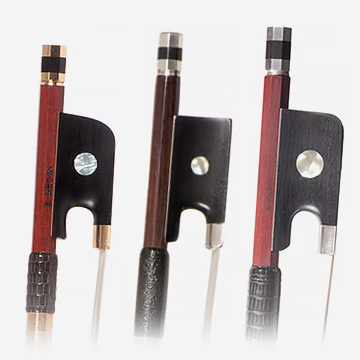 We also offer a wide selection of carbon fiber, carbon composite, and fiberglass bows. See something you like? Call us to schedule an appointment or arrange a trial shipment! We carry electric instruments from today’s leading brands, including Eastman, Guild, Cordoba, and AJ Series, so you can be assured you are getting the best quality instrument for the price. Find your perfect instrument and help a child do the same, thanks to a partnership with the Johnson String Project and Eastman Strings. 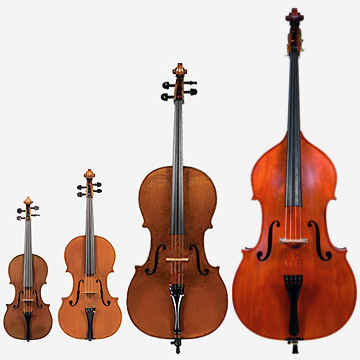 Johnson String Instrument enjoys special relationships with some of the top stringed instrument workshops in the world. Order a free trial today! 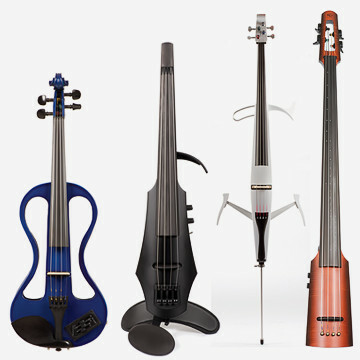 String players are recognizing the new synthetic bows as valuable musical tools. We carry the top brands in the industry. 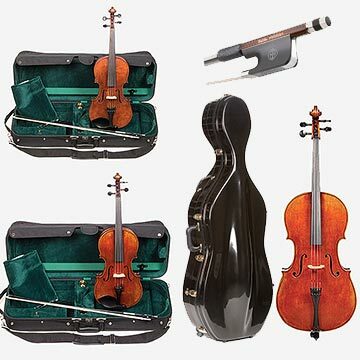 We carry electric instruments from today’s leading brands, including Yamaha and NS Design, so you can be assured you are getting the best quality instrument for the price. Each month our Sales staff pick an instrument to spotlight for our clients.